The 2014 Winter Olympic Games are an amazing look at our country's dedicated and talented athletes. This year, all eyes are on the Winter Olympics in Sochi. I really love the Games – it’s amazing the dedication these men and women have to their talents. Not to mention their diet to keep up the gruesome schedule. We’ve talked about Apolo Ohno using coconut oilbefore. Not surprising, many athletes turn to coconut oil as an energy source. She just may be my new favorite one to watch these games. At 19, she lost BOTH legs to bacterial meningitis, and then studied to become an aesthetician and makeup artist. Purdy, now 34, and the para-snowboard-cross, are making an Olympic debut this week! She told Allure why she uses coconut oil for just about everything. 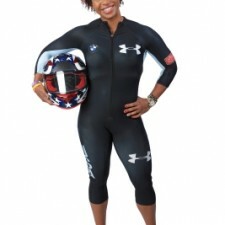 This powerhouse athlete uses coconut oil to fuel her during her event, according MSN. I think I’d need a shot of something stronger, if you know what I mean, to what she does! 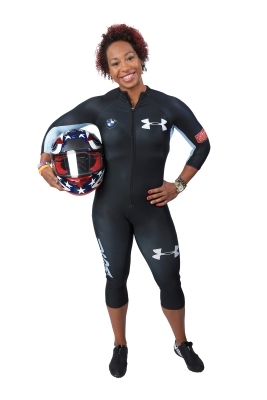 Bobsledder Jazmine Fenlator uses coconut oil for an extra pick-me-up. Image courtesy: Getty Images. While Alex may be in his off season training for the 2016 Summer Games, he still utilizes the power of coconut oil in his routine. During the 2012 Games in London, he told WebMD is pre-workout use. I don’t know about you, but just reading about these athletes makes me want to go work out!